Category 6 cable, usually Cat-6, is a cable standard for Gigabit Ethernet and other network protocols that is backward compatible with the Category 5/5e and Category 3 cable standards. 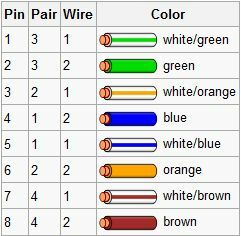 The main difference between Cat-6 and it’s previous versions is that CAT-6 fully utilizes all four pairs. Cat-6 features more stringent specifications for crosstalk and system noise. The cable standard provides performance of up to 250 MHz and is suitable for 10BASE-T / 100BASE-TX and 1000BASE-T / 1000BASE-TX (Gigabit Ethernet). It is expected to suit the 10GBASE-T (10Gigabit Ethernet) standard, although with limitations on length if unshielded Cat 6 cable is used. 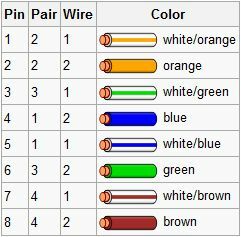 The cable contains four twisted copper wire pairs, just like earlier copper cable standards and when used as a patch cable, Cat-6 is normally terminated in 8P8C modular connectors. Some Cat-6 cables are too large and may be difficult to attach to 8P8C connectors without a special modular piece and are technically not standard compliant. If components of the various cable standards are intermixed, the performance of the signal path will be limited to that of the lowest category. The maximum allowed length of a Cat-6 cable is 100 meters. Crossover is used for hub to hub, computer to computer, wherever two-way communication is necessary. All gigabit ethernet equipment, and most new 10/100Mb equipment, supports automatic crossover, meaning that either a straight-through or crossover cable may be used for any connection. However, older equipment requires the use of a straight-through cable to connect a switch to a client device, and a crossover cable to connect a switch to a switch or a client to a client. Crossover cables can be constructed by wiring one end to the T568A scheme and the other end with the T568B scheme. This will ensure that the Transmit (TX) pins on both ends are wired through to the Receive (RX) pins on the other end. – Even if all the specification are saying that the CAT-6 is protected against external factors, do not mount this cables close by cable power or any other cable that can influence the performance of Ethernet cable.